While property managers at Park Place at City Center, 731 S. 300 East, considered the complaint “unfounded,” Thurber has a copy of a May inspection report from the Housing Authority of Salt Lake City that identifies a bedbug problem and says the landlord needs to address it. But when Pinnacle—the property management company that rented the subsidized housing to Thurber and his partner at Park Place—hashed the issue out with the Housing Authority, the end result, Thurber says, was that he and his partner would have to leave, but the bedbugs could stay. “The way they get rid of the problem is they get rid of the tenants,” Thurber says. “But it doesn’t really take care of the bedbugs.” Thurber also bristles at the idea that because he complained about bedbugs, he’s labeled as the source of the infestation. He recently took pictures of a mattress in a Dumpster outside of his building caked in thousands of shed bedbug husks. He worries Pinnacle just doesn’t treat the building’s problem comprehensively. While bedbugs used to be an uncommon problem, a representative of the Salt Lake Valley Health Department says the bugs have invaded in the past few years, with staff now receiving multiple bedbug complaints daily. After arguing with property management about bedbugs in 2007, Thurber says an exterminator was called and treated the apartment twice, fixing the problem. Thurber says that in April 2011, however, he caught a single bedbug crawling across his sheets one morning. That time, he says Pinnacle said it would have to charge him $250 to treat the problem. Since then, Thurber has appealed to SLVHD and the Salt Lake Housing Authority, which administers the federal voucher for the housing. A brief SLVHD inspection determined there was not a bedbug problem, even though the inspector was unable to inspect the bedding (Thurber’s partner was asleep in the bed at the time), and the inspector was shown the bedbug Thurber had caught. Ten days later, on May 23, an inspection report from the Housing Authority determined that there was a bedbug problem and that it was the landlord’s responsibility to address the problem. While most rental agreements require tenants to cover extermination costs—a perfectly legal practice in state law—the Housing Authority argued, however, the fact that that landlords receive reimbursement for offering the federal voucher puts the burden on them to ensure a sanitary dwelling. But the idea that bedbugs do not migrate is not true according to Jody Gangloff-Kauffmann, an urban entomologist at Cornell University. She says that while the insects commonly travel by attaching to old furniture and people, they also can travel from one apartment to another through vents and fixtures. 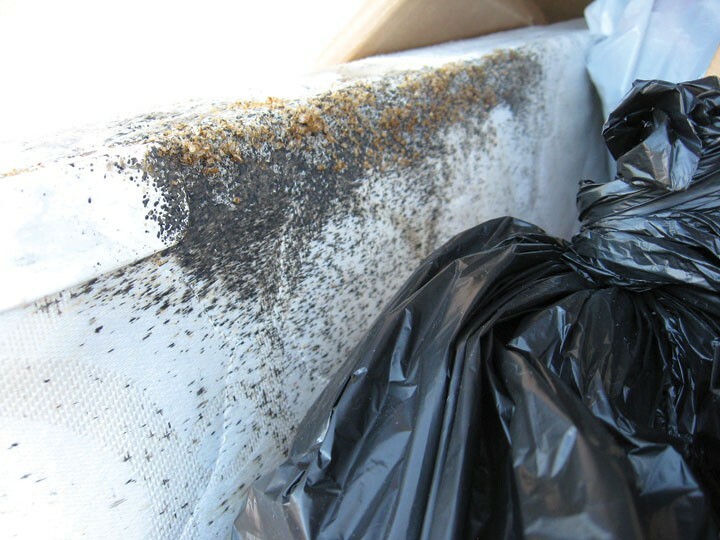 Bedbugs are an unwelcome sight in any home and can infest any type of residence, no matter how clean or dirty it is. While their bites are itchy, they are generally harmless, which is why most health departments, including the Salt Lake Valley Health Department, don’t consider them a public health risk. But Thurber worries that a pest for some could be harmful for him and his partner, both of whom are HIV positive having contracted the disease from past relationships. The two have been together the past 10 years. Both live on fixed incomes, as Thurber suffers from cluster headaches and his partner has a spinal disease, and they qualify for a Section 42 federal housing voucher to offset their rent. Thurber believes that bedbugs, as well as starlings that have nested in his window well and around his building, carry diseases that could be dangerous to him and his partner, due to their weakened immune systems. But the anxiety over the pests is what bugs him the most. Gangloff-Kauffmann says cities have been slow to develop adequate public policy to address bedbugs. States like New York have stronger laws holding landlords accountable for infestations, but she also says landlords need protection, too. But she also says individuals like Thurber and his partner, who are HIV positive, are at extra risk because bug bites can easily facilitate infection. “That will definitely compound health issues,” she says. Thurber is still fighting his treatment and has now filed a discrimination complaint with the Utah Antidiscrimination & Labor Division.